Looking for an amazing downhill half marathon that provides some of the best views in Utah? 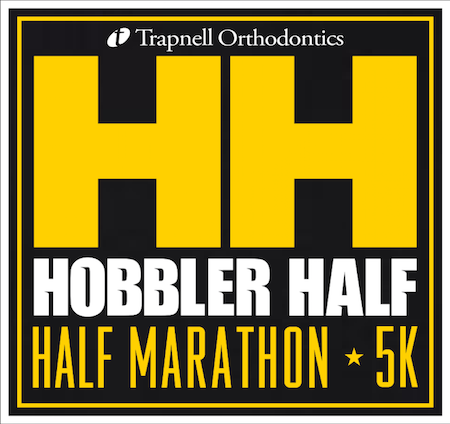 Run13 is pleased to invite you to the 9th annual Hobbler Half Marathon & 5k! This USATF Certified Half Marathon course begins up Hobble Creek Canyon and ends in the city of Springville. Come find out why this has become one of the fastest growing races in Utah. All the usual Run13 suspects will be there to await you at the finish line...massages, Magleby's Fresh breakfast, activities and fun for the kiddies including bounce houses and even a hot air balloon! Cash Prizes for top winners and placement medals to top 3 in each age division, and of course, custom medals to all half marathon finishers! Visit www.run13.com for more details. What are the distances for each event? Half Marathon – 6:30 a.m.
What are the packet pickup dates/locations? To avoid any delays on race morning you are strongly encouraged come Friday and avoid any lines or worse, miss the busses. *Friday, July 6th from 3:30-7:00 pm at Trapnell Orthodontics, located at 187 East 400 South, Springville, UT 84663. Half Marathon runners are strongly encouraged to pick up their packets Friday to avoid delays on Saturday morning. You may also pick up your packet race morning from 4:30 – 5:15 am for the Half Marathon and 6:30 – 7:30 am for the 5K @ Arts Park – 700 S. 1300 E., Springville UT. You will need to show a valid ID to pick up your packet. Packet Pickup will be done numerically. When you show up, you will look up your number by your last name and then proceed to the corresponding line for your race bib and chip. You will then pick up your race bag and race shirt. You may pick up packets for other runners if you show a photocopy of their ID. Will Half Marathon runners be bussed to the start line? YES! All half marathon runners MUST ride the busses as there is no parking at the start line. 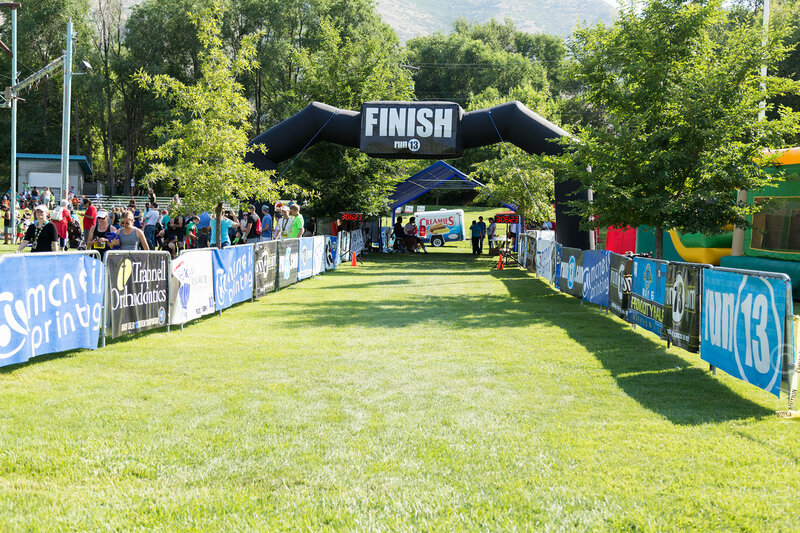 Busses will begin shuttling runners from the finish line location at Arts Park – 700 S. 1300 E. in Springville UT, beginning at 4:45 am with the final bus leaving at 5:25 am. Please arrive early as the last bus will not be able to fit everyone in it! If you miss the busses you will NOT be able to drive to the start line as the canyon will be closed to traffic near the top. We will have a prize giveaway to our early bird bus riders including free race entries to many of our upcoming races, race swag, gift certificates and more! All you have to do to be eligible for one of these prizes is be on one of the first four buses Saturday morning! Will 5k runners also need to ride the bus? No! The 5k route begins and ends at Arts Park in Springville. Do not get on the bus if you are running the 5k! Where do I park the morning of the race? Please park at the Springville High School parking lot and walk over to Art’s Park for packet pick-up, half marathon bus pick-up, and for the 5k start. Please do not park along 900 South or 1350 East, as these roads are part of the half marathon and 5k race course. Will there be a clothing bag drop at the start line? Yes, there will be a vehicle for the half marathon start line to take clothing bags down to the finish line. Please use the plastic bags provided at packet pick-up to hold your items and be sure to label the bag with your bib number. Remember that using the bag drop service is at your own risk…Run13 is not responsible for any lost or stolen items. What is the time limit to complete the race? Police and volunteer course support will end at 10:00 am. 8:30(ish) a.m. for all events. Awards will be given to top 3 finishers in each age division and Half Marathon finishers will receive custom medals. Cash prizes must be claimed within 7 days of event or money will be donated to charity. What are the Age Divisions for the Half Marathon and 5k? There will be 6 water/Powerade and aid stations along the Half Marathon course and 1 water/Powerade and aid station on the 5k course. Water stations are located approximately every 2 miles along the course. Energy Gels will be available at the water stations for mile 6 of the half marathon course. We will also have plenty of liquid at the Finish Line Compound. Are there any post-race medical attention/massage therapy and locations? There will be medical support at the Relay Exchange Point and Finish Line Compound and first aid kits at every aid station along the course. We will also have massage therapists at the Finish Line Compound to help relax & loosen up tight muscles. What kind of food/drinks are at the finish line? There will be water, sports drinks and delicious Magleby’s Fresh breakfast and fruit ready for you as you cross the finish line! Will portable bathrooms be on the course? Yes, at the Start and Finish Line Compound and approximately every 3 miles along the half marathon course. Can I run the courses without registering? No. All runners without a Hobbler Half Marathon/5k bib will be directed off the course immediately. Am I allowed to use my Portable Music Device during the race? Yes!! Just please be aware of traffic around you to keep you and other runners safe. Are there Timing Chips & Race Numbers? All official entrants will receive a timing chip along with their race bib number. If I get injured or for some other reason can’t run after I have registered, can I have my money refunded? Once your registration has been accepted all fees are non-refundable, however, you may transfer your entry to another runner if you do so by July 6, 2018, for a $10 transfer fee. Contact Jeff@run13.com if you would like to have your registration transferred. Yes, RYR Race Pacers will be pacing the Half Marathon course. We will also be lining up runners according to their pace per mile at the start line – please line up accordingly and allow the faster runners to gather at the front of the pack. Yes. We simply ask those running with strollers to start towards the back of the race pack to avoid other runners tripping over stroller wheels and injuring themselves or your children. Where are good places for my family to watch the race? The best place is at the Finish Line Compound. Also, have your family check out the interactive course maps online and they may find a great place to cheer you on. At pre-race packet pickup or the morning of the race. A little rain won’t stop this race! However, if there are major weather warnings prior to the event, check the home page for updates and watch for an email. In the event that severe weather does threaten the event, we have prepared some weather cancellation policies and guidelines. Runners’ safety is the most important thing and if any of the threatening weather conditions listed below are present the day of the event, the event may be delayed or canceled. When weather conditions or other physical conditions present a danger to participants, race officials maintain the right to cancel the event. Less threatening conditions may cause alterations of the course or the post-event festival to ensure participant, volunteer, and community safety. Such conditions fall under the label “Acts of God,” and will not result in refunding of any race entry fees or future event credits. The race may be canceled or delayed if any of the following weather conditions exist: Lightning Threat, Lightning Storm, Tornado Warning, Tornado Watch, Thunderstorm, “Heavy” Rain, other major weather condition. The start of the event may be delayed one hour from the posted start time if any of the above-mentioned conditions exist. The event may then be canceled if any of the weather conditions persist: Tornado Warning, Tornado Watch or Thunderstorm. The Race Director, in accordance with the city and the local law enforcement, has the authority to cancel the event. If weather conditions force cancellation of the event, no refunds can be provided, since funds were already spent in preparation for race day. In the event of cancellation, we will still make arrangements for all runners to receive their race medal, shirt, etc. If Event is canceled more than 24 hours prior to the start time: We will notify all participants by email. If Event is canceled less than 24 hours before the start time: We will notify all participants by email. If Event is canceled during the actual event, on-site notification will be posted. Will there be a Finish line party? Yes, the finish line will be a party. We will have amazing food and entertainment and bounce houses and face painting for kids. Please feel free to bring blankets and chairs to relax on at the finish line while cheering on your fellow runners!